Is hard enough to get the case opened, but soft enough not to crack or chip your case. Be sure to use appropriate care when using this tool as it can scratch the iPhone or iPod when used carelessly. It is thin enough to fit into tight places yet firm enough to not break or bend. 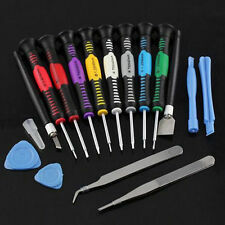 1.21 in 1 repair opening tool kit. Quantity: 21. Different sized tools for all needs. 1 x 1.5 flat head screwdriver. Size: 15 8cm. 5 plastic Tri-agnle pick. 1 x 0.8 Pentalobe screwdriver. KAISI 1.2 40mm Pentalobe Star Screwdriver. This is 1.2 mm Torx screwdriver. Tool Includes: 1.2 40mm MagneticTorx screwdriver ?. 5 Point, Magnetic Tip. Style:1.2 Torx screwdrivers. We are passionate about excellence. Features: 100% Brand new and high quality!High quality 16 PCS wallet mega tool kit.It's for all types of mobile phones like PSP / iPhone 4, 4S, 5, 5S, 5C, Nokia, Samsung, S2 , S3 , S4 , S5Includes the 5 star Pentalobe Screwdriver for the new tamper proof screws on the iPhone 4G, 4S, 5, 5S also 6 and 6 Plus.Safely opens the phone, without damaging the cover.Replace damaged worn parts, fascias, housings, LCD screens on your phone.It gives you many of the tools you'll need to easily replace cracked displays, broken touch screens or drained internal batteries.A must for anyone who wants to upgrade or maintain their Smartphone or tabletAs professional hardware tools, it provides you the most powerful function.This quality kit is suitable for both pro. 1 Precision Screwdriver Set. Can connect with 6.35 electric screwdriver. Improve your work efficiency greatly. Light and handy design makes the kit more portable. Both of screwdriver are also suitable for repairing iPhone SE/7/7 Plus /6s/6s Plus /6/6 Plus /5S/5/4S/4/3G/iPod. 1 x tri wing Screwdriver (Red ). Compatiable with:For iPhone 3GS, For BlackBerry Bold 9780, For BlackBerry Bold 9700, For BlackBerry Curve 9300, For HTC Desire Z, For HTC Wildfire, For Nokia N8, For iPhone 4. 7 x plastic Spudger. 1 flexible scraper. Screwdriver with non-slip handle and magnetic tip. 1 x 0.6 Y screwdriver. 1 x 0.8 Pentalobe screwdriver. 1 x 1.5 flat head screwdriver. 21 in 1 repair opening tool kit. 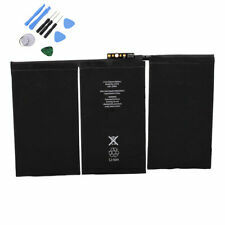 (Designed for use in repair of Cell Phones and other electronic devices. 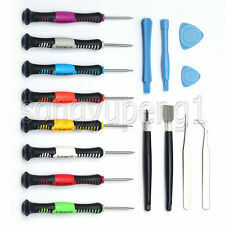 Includes 4 Sizes ~ T4-T7 ~ Torx Hexalobular star socket screwdrivers - Commonly used in cell phones. 2 x Mount Bars. Guam, Puerto Rico, Virgin Islands, etc.). 10 x Black Plastic Opening Pry Tools. With these repair tools, you'll be able to easily disassemble your phones. Light weight,convenient to carry. Material: Plastic. Due to the different display and different light, the picture may not reflect the actual color of the item. Due to the difference between different monitors, the picture may not reflect the actual color of the item. As professional hardware tools,it provides you the most powerful function. Quantity: 1 set. Specifically designing for opening iPhone 7 8, iphone X, 6 Plus 3GS, 4, 4S, 5, 5S, but not limited to them. Also works great for furniture repair soft and hard woods,upholstery,leather work etc. 1 x Suction cup for removing the screen. 2 Mx mount bar. for PHONE, PC and COMPUTER. This is our SOP, for us to be certain and for record purposes. For iPad 2 3 4 iPod 2 3 4 iPad Mini. We might require you to send us photo/s of the item received and also your original item so we can compare and conduct necessary actions. 1 iSesamo Opening Repair Tool. No exception. No exception. 2 x Mount Bar. Quantity:1 set (16pcs). The images are for reference only. 8x Screwdrivers. Extension bar: 100mm. iPhone 6 Plus 6 5 5s 4 4s. Works for smart phones, tablets, and other electronic devises needing tools precision. Tools made of steel and plastic. 2x Pry opening tools.